While Europe was suffering from frosty temperatures rainfall was featured in the media in the Kingdom of Saudi Arabia. Hailstorms and thundershowers were reported in Madinah; a rare event in this part of the world. And Dammam, where the Asharqia Arabian Horse Festival celebrated the elegance and beauty of the Straight Egyptian Arabian horse? 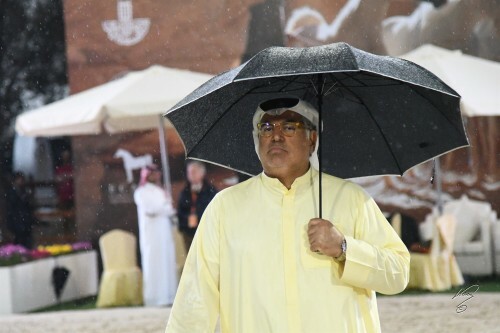 Well, Dammam does not experience significant seasonal variation in the frequency of wet days, but in this case, judges and other officials needed umbrellas. 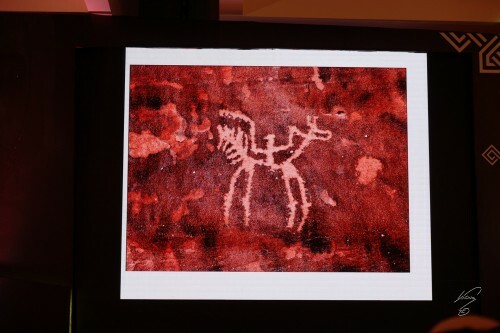 The presentation of the horses were not affected by this. While dancing in the rain, the horses impressed the international panel of judges thanks to their magnificent type and overall quality. It was an international competition held under the patronage of HRH Prince Saud Bin Naif Al Saud, Governor of the Eastern Province, who has embraced the Festival and its vision. Hosted by the Sport City Center in Dammam Mohammad Al Matrodi and his Asharqia Arabian Horse Festival organizing team ensured a smoothly running event. Al Rashediah Stud is the proud owner and breeder of Gold Champion Junior Filly Nadirah Al Rashediah, a two-years-old sired by ZT Faa'Iq and out NK Naeema, by NK Hafid Jamil. Nadirah Al Rashediah is tracing back through her dam to the exceptional Nashua (Salaa El Dine x Lutfia), a granddaughter of Bint Kamla of the Venus family. Silver winner Sahla Al Khaled, by Ibn Dahra Al Khaled, represents the same female line but through another branch. Her dam is Sukayna Al Khaled (by El Thay Khemal Pasha), a granddaughter of champion and champion producer Shahneekha and back through Anaza Dineekha – Manal – Fathia – Shams. Bronze was given to a horse from Dubai Arabian Horse Stud, the Royal Colours daughter D Masha'a Allah out of Frasera Mashara, by Shahil. Frasera Mashara combines the great sires Ansata Ibn Sudan, Maysoun, and Imperial Madheen in her pedigree and traces back to Durra – Bint El Bahrein through Naeema - Tifla. In the Junior Colt Championship, the judges' choice fell unanimous to Helal Al Fala. Visitors to the 2017 European Egyptian Event will remember this Ansata Nile Echo son very well as the Gold Champion Yearling Colt. Proudly owned by Al Fala Stud, Helal Al Fala is out of LF Aliah Bint Adeed, a precious daughter of Al Adeed Al Shaqab and Asila Al Shaqab, tracing back through Shabakah, by Sakr, to Magidaa – Maysa – Mahfouza – El Shahbaa. Al Rashediah Stud celebrated another success with their Jamil Al Rayyan son Muheeb Al Rashediah (out of Maleeha Al Rashediah), who accomplished Silver Champion Junior Colt. Through his dam's sire Tammam Albadeia, Muheeb traces back to Naeema – Tifla, like the Bronze winning filly D Masha'a Allah. However, in tail female line, Muheeb represents the line of AK Radia – Monisa RSI – Bint Moniet El Nefous. Bronze winner Lail El Kuwait, bred by the Arabian Horse Center and owned by El Eid Stud, Kuwait (out of Lulua Elkw), is by Rea El Kaream, who is a representative of the strong sire line of Ansata Ibn Halima. In this case through Ansata Ibn Sudan – Ansata Imperial – Imperial Imdal and PVA Kariim. Bred by Jerry and Annette Boles, USA, the Mishaal HP daughter DSA Baby Dhall adorns the stables of Abdullah Bin Fahad Al Haqbani's stud Al Tinhat and was awarded Gold Champion Senior Mare. DSA Baby Dhall's dam DSA Hey Baby is by the influential Thee Desperado and linebred to The Minstril. Her tail-female line goes back through Wanisa to Omayma Nazeera – Malaka and Bint Bint Riyala (Rodania). The Silver Champion Senior Mare Alfabia Jumeira, by Phaaros, was bred by Alfabia Stud, Italy, and is now proudly owned by Al Fala Stud – another mare from the strong Rodania family. Alfabia Jumeira's dam is the bold-moving Grea Bint Khattaara, by Moroc, out of AK Khattaara – Omnia – Yaquota – Bint Rissala. Al Khalediah Stud celebrated the success of their homebred mare Haifa Al Khalediah II, by F Shamaal, who is an accomplished show horse himself. Haifa's dam is Ansata Nile Pearl is a valuable daughter of Ansata Hejazi out of Ansata White Nile and back to the Babson bred mare Falima, founder of Ansata's world-famous Nile family. The senior stallions saw a tough competition with well-filled classes. Dubai Arabian Horse Stud put forward another Royal Colours son, D Haydar, who garnered the highest score of all males, won his class for 4 – 6 years old, and the Gold Champion Senior Stallions. While Royal Colours is a grandson of Thee Desperado, D Haydar's dam Hearts Embrace is a direct daughter of him and traces back to the Babson bred mare Bint Aaroufa – Maaroufa – Mahroussa. Silver was awarded to the winner of 7 – 9 years old stallion: Nayiel Al Khaled. Bred and owned by Khaled Bin Ahmed Bin Baker Baagdoo of Al Khaled Stud, Nayiel Al Khaled already celebrated various show wins in Europe and the Middle East. His sire is Ansata Safeer, by Ansata Hejazi, while is dam Nefertiti, by Alidaar, traces back through Nessma – Amarilla to Hanan's wonderful daughter Ghazala, by Ghazal. Salman Al Khalediah II won the class for 10 years and older stallion and accomplished Bronze Champion Senior Stallion for his proud owner and breeder Al Khalediah Stud. Aforementioned F Shamaal is the sire of this 2007 born stallion and Salman is out of Thee Eventing Star, by Thee Desperado, tracing back through Il Warda – Bint Bint Kateefa to Bint Rissala. 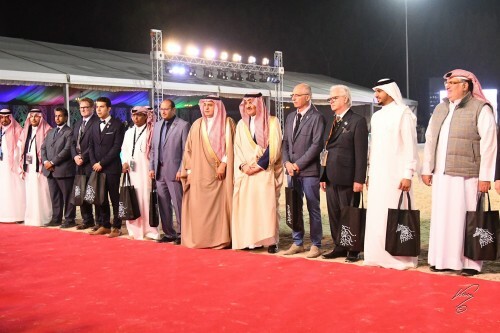 It was a highly successful premiere for the Asharqia Arabian Horse Festival, which will become an important showcase to celebrate the history and heritage of the Arabian horse in the Middle East. A very sincere thanks to the fantastic support of Mohammad Al Matrodi and his Asharqia Arabian Horse Festival organizing team. 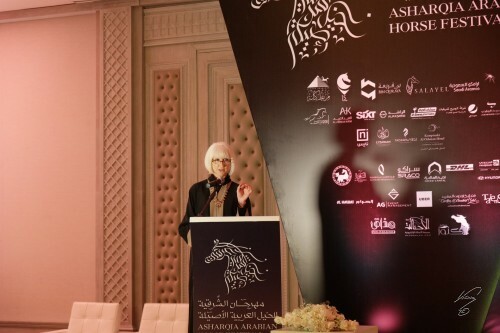 Arabian Horse Global Network would like to extend our thanks for the excellent collaboration. We also wish to thank photographer Jan Kan for cooperating with us.